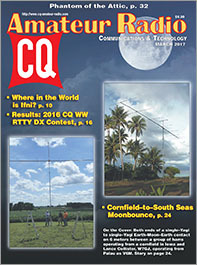 If you're a DXer, you're probably familiar with "short path" and "long path" propagation between two distant points … but our cover story this month is on really long-path propagation: 6-meter contacts between Iowa and Palau (in the South Pacific) via the Moon! 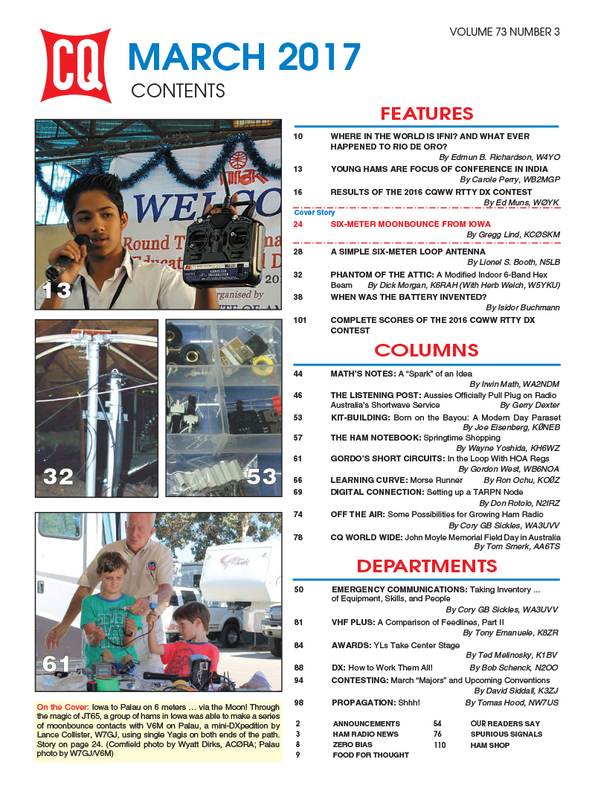 We also take you on a trip through space and time to look at the sparse ham radio operations from Ifni and Rio de Oro, back when both were considered "entities" for DX awards. 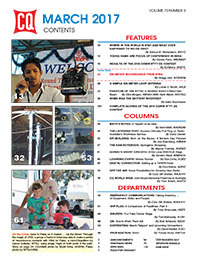 And WB2MGP takes us with her to India, where she took part in a conference focused on ham radio in education. 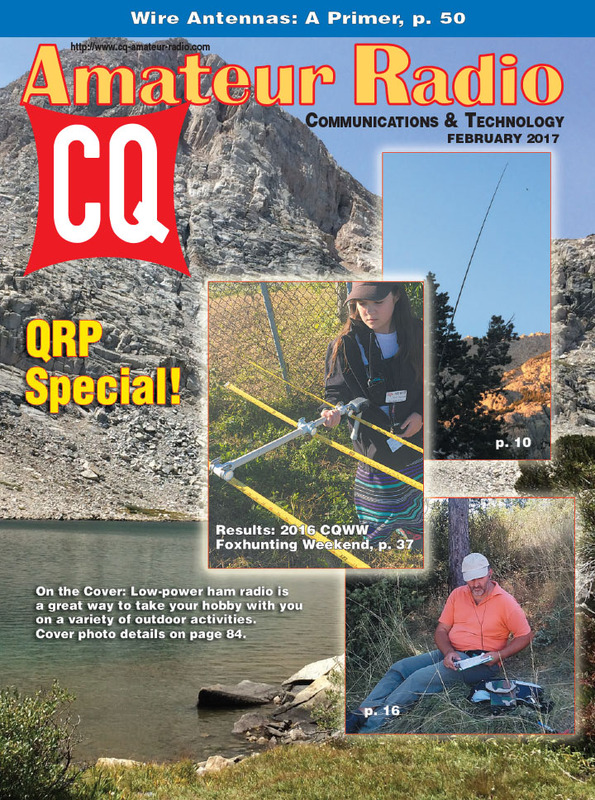 We've also got the results of the 2016 CQ World Wide RTTY (radioteletype) DX Contest, once again including all scores in print; two antenna projects, a look at the history of batteries, and columns ranging from building a modern-day "paraset" (World War II clandestine radio) to setting up a TARPN node for digital networking and choosing the best feedline for VHF/UHF receiving. 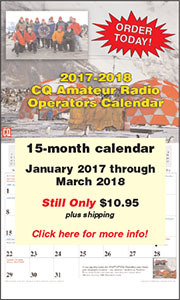 Dates to remember: CQ WPX SSB Contest - March 25-26. See rules here. On the Cover: Iowa to Palau on 6 meters … via the Moon! Through the magic of JT65, a group of hams in Iowa was able to make a series of single-Yagi to single-Yagi Earth-Moon-Earth contacts with V6M, a mini-moonbounce DXpedition by Lance Collister, W7GJ.